Well October is over, and it went by pretty quickly. We were so busy that I haven’t posted anything in quite awhile. We have been doing quite a but of cooking and making things, but not taking pictures so I haven’t had all the steps to post. 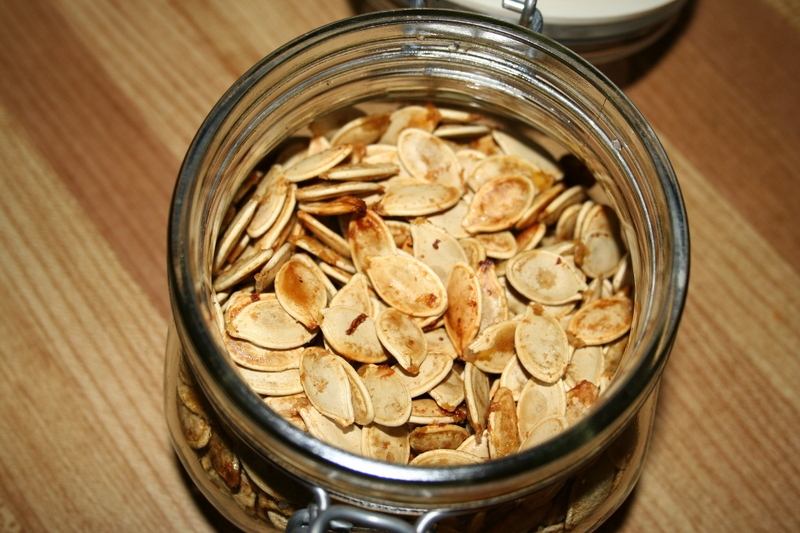 Today we are roasting one of the small pie pumpkins that we had and using the puree to make pumpkin muffins. 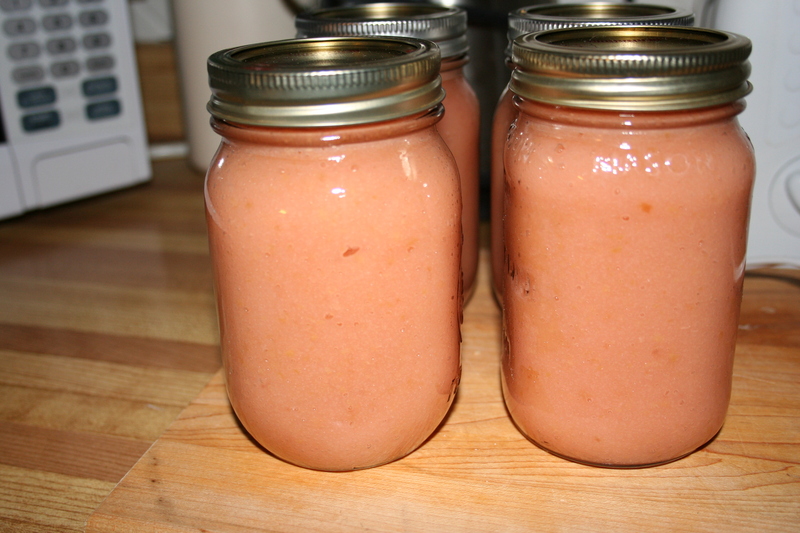 We made applesauce to have over the winter, we left the peel on to make the applesauce pink. We made grape juice out of foraged grapes (foraged from our neighbours vine). They were a little past their prime but Evie desperately wanted to pick them into her basket and bring home to make juice. We ended up making it after supper one night and she was a little late getting to bed. It was then or never, since extra things do not get done during the work/school week. 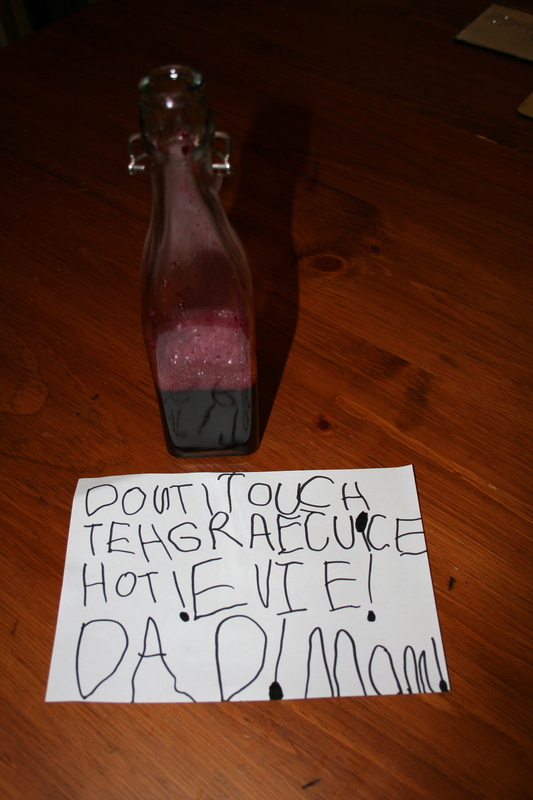 Before Evie went to bed she wrote a note to leave for her Dad, just to make sure he didn’t touch her juice, “Don’t Touch the Grape Juice Hot!”. We went to the pumpkin patch on a very cold damp day and got a pumpkin to carve our Jack-O-Lantern. 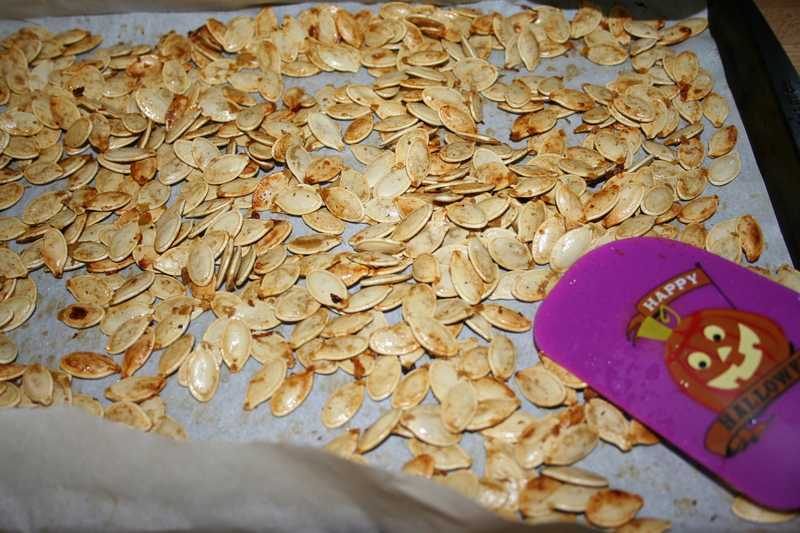 We saved the seeds and toasted them (with salt and garlic) for snacking. They turned out much better that I thought they would, and we really liked them. 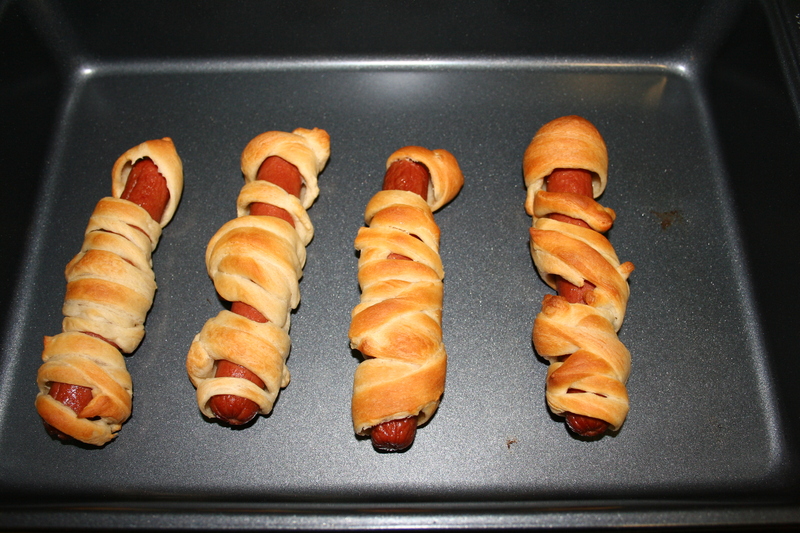 Supper before trick-or-treating was mummy dogs. We do not have hot dogs very often so these were a bit of a treat. We found these on pinterest. Really easy and quick to make. I hope you all had a great October. I am going to try to get back into posting more during November….really try. This entry was posted in cooking, creating with children, frugal and tagged applesauce, grape juice, halloween, mummy dogs, October, pumpkin seeds.